I keep meaning to write this post, and then I keep getting side tracked with other posts! It's about time I sit down and finally write a review on this serum. Younique is a direct sales company, whose focus is makeup and skincare. They have a foundation in which proceeds go to help heal those who have been affected by sexual abuse. 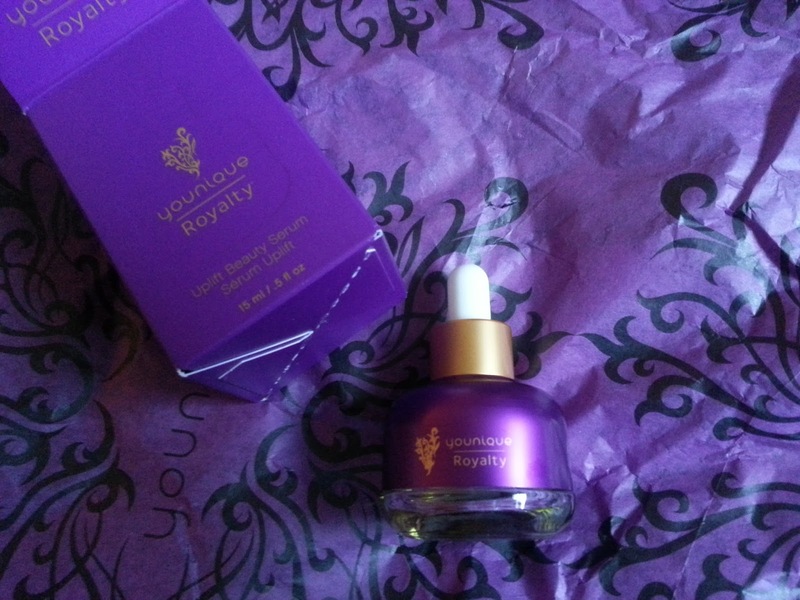 They recently updated their skincare line, renamed it to "Royalty" and have added many new products, such as night cream, a face mask, new serums, etc. I don't personally sell Younique products, but I do have many friends that do, so that is why you will sometimes see these products on my blog. They all are purchased by me. 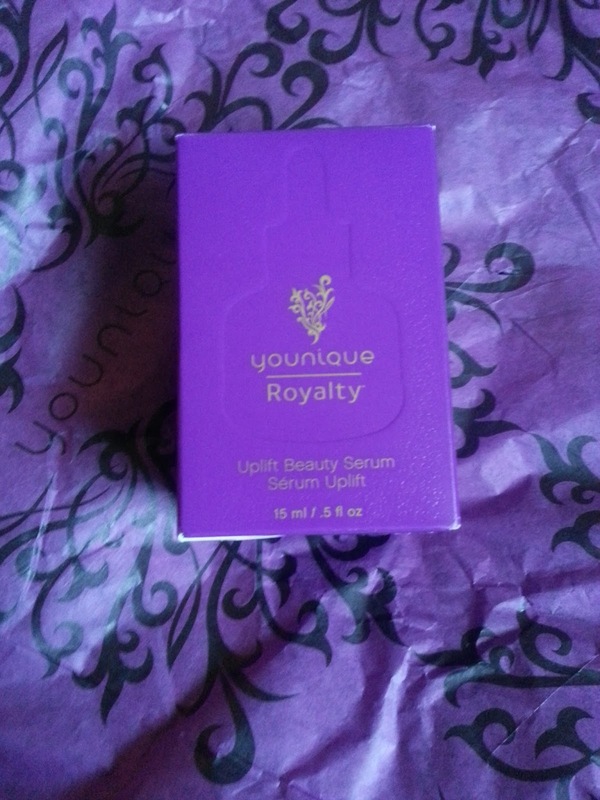 Today I'm reviewing the updated Younique Royalty Uplift Beauty Serum. Younique claims that this will hydrate and nourish your skin with a silky-smooth serum formulated with squalane, CoQ10, and vitamins C and E. This luxurious oil soaks into your skin without leaving an oily residue and helps to minimize the appearance of fine lines and wrinkles. This definitely is an oil consistency. Serums to me are more of a watered down gel like texture, so this was a little odd to me at first. It has no scent, which I really appreciate with Younique products. I've been using this everyday for about a month now, and I can't say that I see a difference in my skins appearance. I mostly purchased this because I do have some faint wrinkle lines that are starting on my forehead and baby ones around my eyes. And while nothing really will get rid of them, I'd like to prevent them for as long as I can! So although I don't immediately see any changes, I will continue to use this in hopes it will help keep wrinkles away for a little longer.